LORD…WHERE ARE YOU? | Connecting with You! Psalm 42 excerpts – cries from the heart of David, calling on God in the midst of despair. We can picture his state of depression. Why is depression such a taboo subject in many congregations today? Because it doesn’t fit in with ‘kingdom-now’ mentality? One of those ‘problems’ that fits the ‘too-hard’ basket – too many grey areas? For some time it’s been apparent that, despite the strengths and victories Christians receive in Christ, some wrongly feel ashamed and only whisper that they’re suffering from depression. Many feel they cannot share this ‘weakness’ without being condemned. Worse still is the stigma attached to anyone in leadership struggling with depression. Because leaders are supposed to be ‘above’ their congregations, they should not be having such struggles and therefore don’t share openly about their battles in this area. Yet, on closer study of scriptures we find a number of prominent leaders who suffered from some form of despondency, sadness, feelings of inadequacy; or in other words – depression. Sometimes it is a one-off occurrence, other times it seems to come and go. The ‘man after God’s own heart’ depressed? Yes! The excerpts above reveal that David had many instances in his life, particularly over the years when Saul pursued him, to be downhearted and despondent. Had God deserted him in these times, hiding his face from him? No! In fact David wrote in Psalm 139:7-10 that no matter where he went the Lord would be there already. David wrote many psalms that shared his heart, not only with the Lord, but with all Israel. And not only did God not forsake David, but the people of Israel loved and honoured him. When church leaders are honest with us as congregations, regarding their weaknesses and their need of our understanding and prayer, we must recognise that God is the Judge. If he has placed them in leadership he is able to lift them up out of the depths, and continue to use them to serve in leadership for our benefit. We will find greater blessing in encouraging our leaders and standing with them through hard times, than if we desert or condemn them! This chosen leader found the constant pressure of overseeing the Israelites becoming too much for him. So much so that in Numbers 11:14-15 he cries out to the Lord that the burden of carrying all the people was too heavy for him and that if this was the way God was going to treat him, he would rather die. So lowered in spirit, so pressed down that he actually asked to be taken home to be with the Lord. Our leaders face pressures that we do not always hear of. How many of us individually deal with deaths, marital conflict, terminal sickness, confessions of sin and others’ problems on a daily basis? We may deal with such occasionally among friends, but not on a continual basis. Nor do we need to prepare a message or two for the weekend meetings, attending other weeknight meetings, and invitations from within the congregation. Do we check with our leaders to see how they’re doing? And are our leaders honest with us when we do ask? This is definitely an area we all need to work on to ensure we are a healthy body in Christ. Young in the ministry, Timothy found it hard sometimes to be accepted by those older than himself. Even within congregations, there were those who were older, felt they knew more than he and were more qualified for the position. Hence, Timothy needed to hear a word of wisdom and encouragement from Paul, his father in the Lord. And more than once! ‘Don’t let anyone look down on you because you are young… do not neglect your gift that was given you through a prophetic message when the body of elders laid their hands on you’ advised Paul (1Timothy 4:12,14). Timothy had been given prophetic words about his calling to the ministry. Yet through adversity and frequent illnesses (1 Tim.5:23), he wasn’t always able to stand firm. He succumbed at times to discouragement and needed reminding by his mentor to keep going. To recall the prophetic word and not give in to intimidation and oppression but to remember he had received spiritual empowerment (2 Tim. 1:6-7). The wording means a deep distress of mind. But Jesus knew how to draw answers and supernatural overcoming strength from God! ‘Abba, Father, everything is possible for you…I want your will, not mine’ (v36). Strengthened within, Jesus moved afresh in ministry, even miraculously restoring the severed ear of one of his opponents (Luke 22:51). Remember that we too have the Spirit of Christ within who grants love, power and a sound mind. Depression isn’t something that precludes anyone from leadership roles – it can be used by God. He doesn’t discount, or set aside from leadership, anyone who may suffer this way. If anything, depression is a weakness that allows God’s strength to show forth in a greater way. John Newton (author of Amazing Grace), suffered debilitating depression throughout his Christian life. The former slave trader turned pastor would spend days in bed, unable to get up, overcome by dark depression. His congregation, rather than being ashamed of him, took care of him at those times, not letting him go, but loving him and lifting him up. And God used him powerfully! Strong Christian leaders resulted from his ministry. 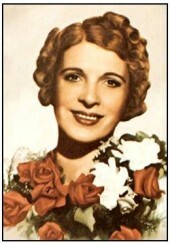 Aimee Semple McPherson, mightily used evangelist of the early 1900s, suffered depression as a young widowed mother. Yet the Lord used her to bring thousands to Christ, healed and delivered from oppression. Despite suffering from insomnia for a number of years before her death, she fulfilled her calling. William Wilberforce, the 1700s English politician, who spent his life focused on the abolition of the slave trade also suffered from deep depression. Wilberforce’s battle against human trafficking robbed him of his health and created many enemies, but the Lord used him for his purposes. It’s time to stop hiding, stop feeling ashamed, and begin to accept one another in Christ despite our weaknesses. Time to love one another deeply so that the world may know that we love not only with words, but with actions and in truth (1 John 3:18-24).